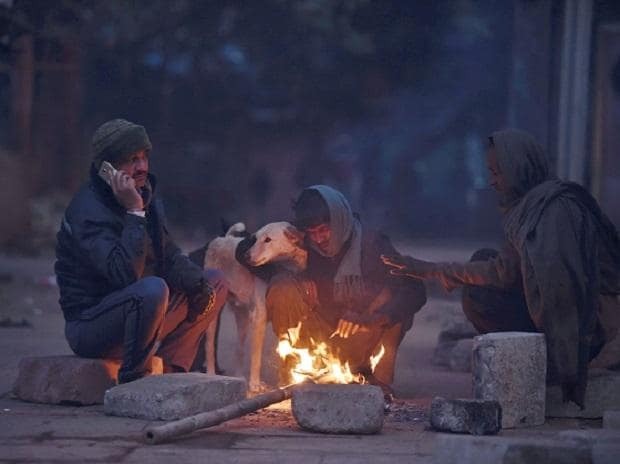 Delhiites woke up to a chilly morning Thursday as the mercury dropped to 4 degrees Celsius, the lowest so far this winter in the city, an official said. According to the Meteorological (MeT) Department, cold wave conditions will continue to prevail till December 22 in the national capital. "The minimum temperature was recorded at 4 degrees Celsius, four notches below the season's average. It is the lowest temperature recorded so far in this month," the official of the department said. The weatherman has forecast clear skies throughout the day. "The skies will remain clear and the maximum temperature is expected to hover around 22 degrees Celsius," the weatherman said. The humidity level recorded at 8.30 am was 94 per cent, he said. On Wednesday, the minimum temperature settled at 5.2 degrees Celsius, while the maximum temperature was recorded at 22.3 degrees Celsius.